How has the Franchise Tax Board (FTB) changed or evolved under your leadership since 2006? I like to believe I’ve had a positive impact on our staff. FTB had a great culture when I joined the team in 2006. Since I am passionate about helping our employees achieve their goals, it was easy to build upon what was already in place to focus on increasing employee engagement. You build the vision of engaged employees into your strategic plan and your corporate values. Then you empower them to take hold of their own careers by providing tools and mentors to help them achieve their goals. I helped ensure that our organization—which is heavily dependent on technology—is sustainable as our legacy systems aged. In 2007, we created a long term three-phased modernization strategy for FTB's information technology systems. The primary objective of this strategy addresses updating FTB’s aging legacy systems, while advancing FTB’s strategic goals using the latest technologies and industry best business practices. The first phase, called Enterprise Data to Revenue (EDR), was completed in December 2016. It was the state’s largest technology project that resulted in more efficient operations throughout FTB, better customer service, and a higher level of transparency—along with helping to close the sizeable tax gap by $1 billion annually. But we’re not done yet. The second phase (called EDR 2) will further modernize our tax systems and use data to bring in new additional revenue by assisting taxpayers to pay the appropriate amount of tax, increase our staff efficiencies, and further improve FTB’s self-service options and customer experiences. What is something new that the Franchise Tax Board is currently working on? We have a couple of new initiatives that I think will be very impactful over the next several years. The first has to do with ID theft and how that plays out in the tax world. Around the nation, tax refund theft is a problem. At FTB, we are doing our best to make sure the right refund goes to the right person. FTB is proactive and vigilant about identifying fraudulent returns and ensuring that the proper state income tax refunds go to the correct taxpayers. By utilizing modern fraud detection practices, FTB has identified and prevented millions of dollars’ worth of attempted refund fraud. FTB has also taken proactive measures to ensure the security of taxpayers’ information by collaborating with the IRS Security Summit and the Federation of Tax Administrators. These efforts also include representatives from the software industry, tax preparation firms, payroll processors, and state tax administrators who work together to combat identify theft on a national level. In 2018, FTB is taking the lead in establishing a statewide identity theft collaboration team that is the first step in California’s state and local government agencies joining forces to fight the ever-growing threat of identity theft. Finally, in 2017, we began implementing Customer Experience principles at FTB. Customer Experience—or CX—is a modern approach to traditional customer service. CX is defined as the customer’s perception of the interactions she has with an organization. The important part of that definition is “the customer’s perception”. When we focus on what our customers think, we begin to find key insights into how we improve our operations to reduce the burden of understanding and complying with our tax laws. We are even approaching major projects with CX in mind by asking our customers what they need from us rather than building something based on what we think they need. I love the people. And I want them to succeed. If they succeed, the whole enterprise succeeds. Everybody wins. Over the years, FTB has become an employer of choice for state employees. Many begin their careers here, and often they stay 10, 20 or 30 years. Those who leave, often return. A big contributing factor is the feeling of family and community at FTB. For our external community, we pull together for blood drives, food drives, and various other “give back” campaigns. Internally, we also work together to tackle challenges with a spirit of teamwork and cooperation. We build each other up and help offer staff many opportunities for personal development. We appreciate the diversity of our staff and encourage everyone to have a voice at the table. We recognize that great communities are built on collaboration and teamwork. FTB also functions much like most families—we definitely have our disagreements! But at the end of the day we know we’re in this world of public service together. All our employees—no matter where they are on the organizational chart—know they are empowered to make a contribution. They know that we see ourselves not as groups of employees who live within organizational boundaries. Far from it! We know that to be successful it takes every one of us! And we see ourselves as “ONE FTB”. How did you begin your career and what led you to work for the Franchise Tax Board? Growing up I had an interest in the law, particularly tax law. After graduating from the Sri Lanka Law College as an attorney at law, I worked in the private sector, and thereafter in the Chambers of Sri Lanka's President's Counsel. My husband and I immigrated to California in 1986 to pursue the vast opportunities that the United States offers. I went back to law school, and completed a J.D. degree with Honors and an LL.M. degree in tax law. After another period in the private sector, I joined the State Board of Equalization's legal staff in 1996. In April 2005, I was appointed the Acting Assistant Chief Counsel of the Tax and Fee Programs Division of the Legal Department at BOE. Then, in January 2006, I was appointed Executive Officer at FTB. It has been a long and winding road, and one that I have enjoyed immensely. What sparked your passion for tax law and for state and local tax law particularly? My father was an accountant, back in Sri Lanka. He would help the less fortunate people by completing tax returns for them for free. I remember when I was very little, sitting on his lap and completing tax returns. It was such a joy to help my father perform pro bono work. That made a huge impression which sparked my passion for tax law. In your opinion, what is the most interesting current issue in tax law? Right now the main focus revolves around federal tax reform and the conformity issues it creates between federal and California tax laws. The federal Tax Cuts and Jobs Act (also known as H.R. 1) was signed into law on December 22, 2017, and contains the most significant modifications to the federal tax code in over 30 years. Generally, the changes that come with H.R. 1 will not automatically change California’s tax law. The Legislature decides what the specified date should be by codifying the date in the California Revenue and Taxation Code (R&TC). California’s current specified date is January 1, 2015. This means that, for provisions that are enacted for federal purposes in 2016 or 2017, California would not conform to those provisions, but would instead conform (with limited exceptions) to the IRC as it read on January 1, 2015. So unless California specifically enacts legislation to conform to the provisions in H.R. 1, most changes of the Act will not apply. As a result of non-conformity, taxpayers will need to make adjustments from their federal return to their California return. This will add to the complexity of complying with California’s tax laws when preparing their tax returns. 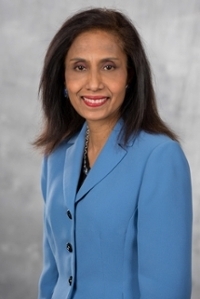 Selvi Stansilaus is the Executive Officer of the Franchise Tax Board. She oversees the second largest tax department in the nation, with more than 6,000 employees in California and its three out-of-state offices. She administers two of California’s largest tax programs, the Personal Income Tax and the Corporation Tax, which collect over $70 billion for the state’s General Fund.